Formulated to reduce VOCs within your facility. Ideal for aviation and other applications where strict VOC caps apply (based on EPA VOC exemptions). 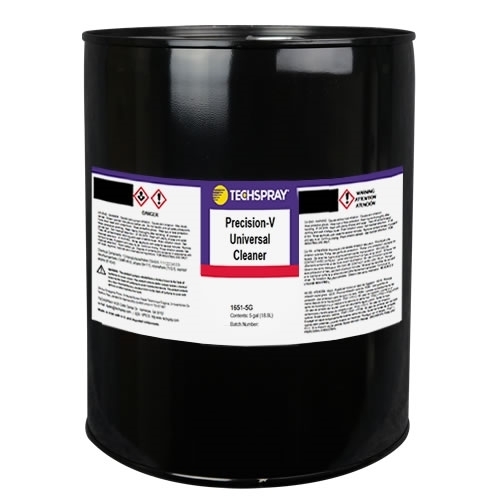 Bulk chemicals ideal for soak cleaning and ultrasonics (not intended for vapor degreaser). Defluxers like the Precision-V remove flux residues and other contaminants left by the manufacturing process. 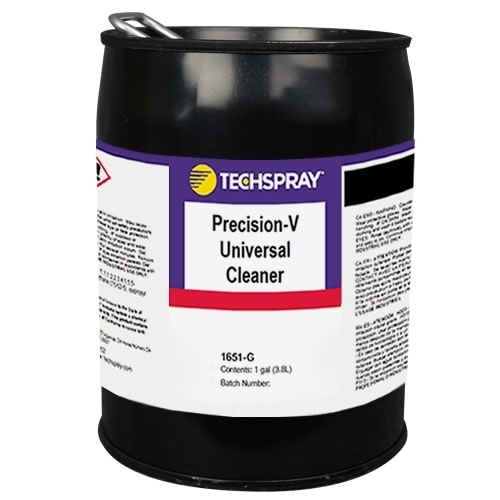 Precision V universal cleaner is safe on most plastics and electronics. The product features rapid evaporation with zero residues left behind. It is SNAP and EPA approved and has very low VOC.